Item number Nb1.758 from the MOA: University of British Columbia. 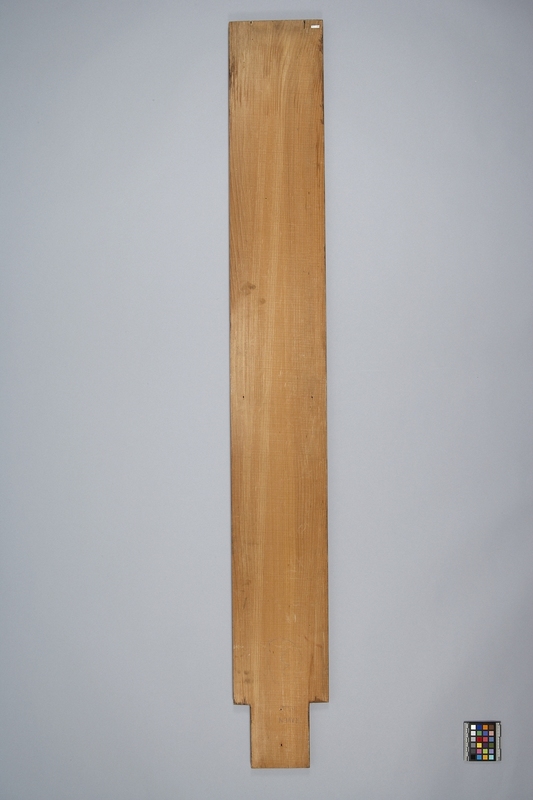 Long, wooden rectangular panel with a wooden notch at top. 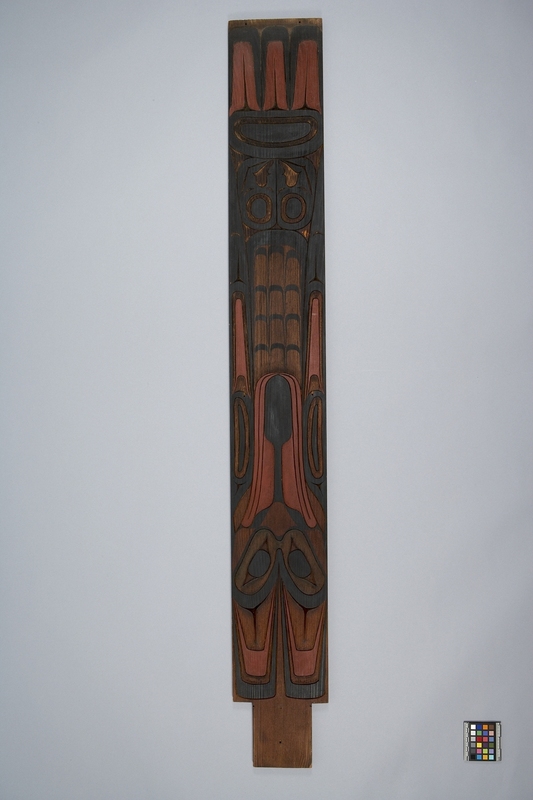 The front has a carved representation of a raven painted dark red and black. Written on the back, in pencil, are "RAVEN", "Reid", and an encircled number three. Walter Koerner commissioned the panels from Reid in the late 1950s or early 1960s, to be placed in his garden. The panels were part of a lean-to, made to protect some other large Northwest Coast carvings which are now part of the Museum of Anthropology's collections.